Klymenko stood up before authorities for the rights of Donbas residents ⋆ News ⋆ Official website for Oleksandr Klymenko. Oleksandr Klymenko, the head of the “Uspіshna Kraina” party, wrote an open letter to Ukrainian leadership. He claimed that the rights of Donbas residents are violated, facts of the abuse of power (including in ATO area) are hushed up. Klymenko demanded an admission of the differences between words and reality. According to official page of the politician in Facebook, Klymenko also sent this letter to the heads of the States of Normandy format, who are involved in the settlement of the situation in the East of Ukraine. According to Klymenko, those people, “who make decisions concerning the destiny of the region and its residents, should have a new look on the course of event in Ukraine. They should look through the eyes of people, who are living in Donbas, in order to make right steps. 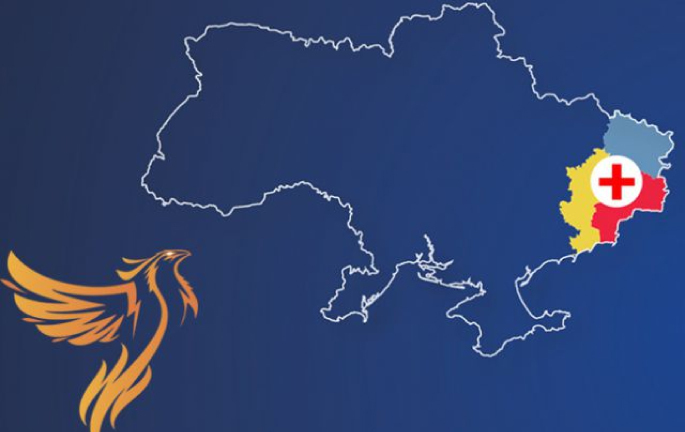 A majority of Ukrainians dream about the dialogue, mutual assistance and long-awaited peace”. The leader of the «Uspishna Kraina» reminded President Petro Poroshenko; Andrey Parubiy, Speaker of the Parliament Andrey Parubiy; Prime minister Vladimir Groisman about severe violation of the rights of Donbas residents, which has been occurring for two years. It comes about deprivation of the right to vote during the elections, restriction of ownership by non-payment of pensions, social benefits, refusing to guarantee protection of human rights, etc. According to the politician, not only discrimination based on a territorial grounds, but also a gross violation of the International Covenant on Civil and Political Rights and the The Convention for the Protection of Human Rights and Fundamental Freedoms (European Convention on Human Rights). “The solution of this problem is not just difficult. It is blocked by the government, which endangers the rights and freedoms of Ukrainians, threatening the statehood and our country,” – Klymenko wrote in open letter. He added that the situation becomes more complicated by the fact that according to the “tip” of the Ministry of information policy and under the threat of sanctions of high officials, all these facts are served together with the war. However, plethora other facts are completely forgotten by the State. Thus, the official Kiev does not like to talk about the fact that Russia was the main trade partner of Ukraine even during 2015; on business assets of Poroshenko, including Russian one, which have increased up to $ 100 million during a couple of years. The power does not want to hear that the state budget revenues from Ukrainians and enterprises, which are located on the territories beyond the Ukrainian control, are 1.5 times higher than the income on the territories under Ukrainian control. ” The country’s current leaders create an atmosphere of hatred to the Donbas people via hiding these facts from the public in order to justify its policy,” – Klymenko said. According to the politician, all these events take place on a background of withdrawal of funds to the by the leaders of the country, who hide from taxes, hush up court decisions (including, international one), justify their opponents. The politician called on the President, Prime Minister and Speaker to recognize the differences between the official rhetoric and reality, as well as to refuse to declare false accusations against Donbas residents in order to end the crimes, discrimination and abuses, which were mentioned in the letter.